Running a business is not very different from playing a game; your purpose is to use any tool that comes in handy to stay ahead of your competition. In the business world, one of the most effective tools that can be used for achieving this purpose is SEO. Search engine optimization is deemed as the lifeblood of every online business that exists today. 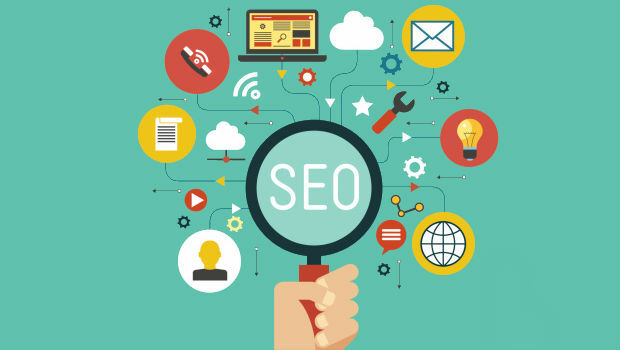 In theory, it might be simple to master for any business, but the fact is that the search algorithms and patterns that make up your SEO efforts are constantly shifting, changing and fluctuating. They continue to increase in complexity, which makes it necessary for you to hire professional SEO services. In any given day, you can visit a horde of different websites and read the same content again and again in different wording. Search engines like Google, Bing and Yahoo have also noticed this and have issued warnings. In response, websites came up with excruciatingly detailed and extensive guides on various topics, which are too long and drawn out or they just make remakes of the same old filler. This is where content density will step in and bring change, which basically means the value offered by content per word. Thus, instead of long articles and guides filled with thousands of words that offer low value per word, the same value will have to be delivered in less. This means less time in writing and providing more value to the audience. One of the secret weapons of the online world is personal branding. It has been used by YouTubers to earn huge sums of money without selling a single product. Personal branding can really come in handy in enhancing SEO efforts because it simplifies the process of boosting user engagement and trust, driving lots of traffic to your website and securing guest posts and top blogs. While not many businesses are using it right now, its adoption is expected to rise in the next year. In the past few years, there has been an exponential increase in the expectations of average users. Reasonably navigable sites and good speeds are no longer acceptable. They want websites they can navigate with the back of their hand and instantaneous load times. Therefore, user experience is expected to have a major impact on SEO. Google is already favoring websites that offer mobile optimization and fast load times as well as low bounce rate and more time spent on page. It will be necessary for every business to make greater investments in user experience to improve SEO efforts in 2017. Thank you for sharing this page to us.This article will be help to go throw the SEO basics. I am grateful to you and expect more number of posts like these. I know the another tech will be gives as to clear information and course for SRO. you can also refer more information about SEO. Are you struggling to get comments on your blog articles. People often see niche blog comments as a sign-off authority, that your community are validating your message by taking the time to leave a comment. A blog with no comments is often overlooked, hence, why getting blog comments rolling in is important for the progression of your blog. The best way to get started to establish blog comments is to create a selection of blogs that are relevant to your niche and then engage on the discussions from there. By starting from you own niche you will be able to have a higher pillar to work from. It would be best to subscribe to niche guest post feed so that you can keep updated and follow-up with comments as soon as an interesting post is published. SEO Service I would like to thank you for the efforts you have made in writing this article. I am hoping the same best work from you in the future as well. In fact your creative writing abilities has inspired me to start my own BlogEngine blog now. Really the blogging is spreading its wings rapidly. Your write up is a fine example of it. Setting up a click to find out more can be an overwhelming task with a lot to comprehend. It all starts with a dream and a vision, but how do you turn that dream into reality? The dream of becoming your own boss and having the freedom to make your own decisions can be a complicated one at the beginning.